This tutorial can lead you to 18 different quilts! How? 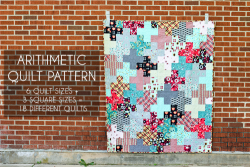 There are 3 different square sizes and 6 different quilt size options. Tada! 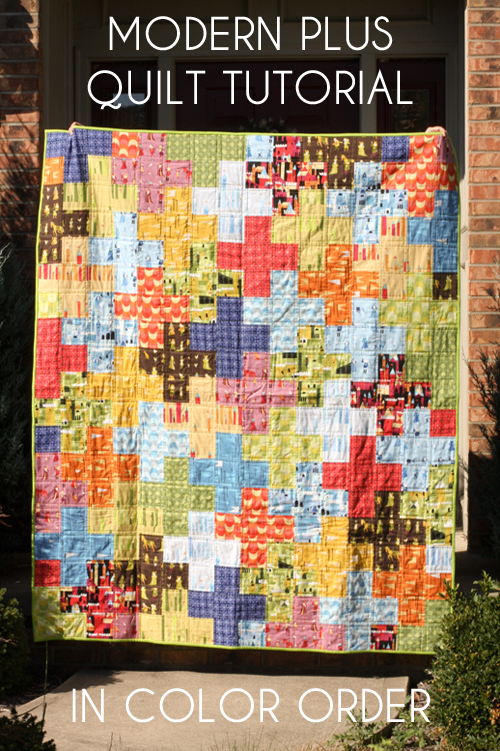 For her tutorial, Lindsay chose to create a quilt that is 64" x 75" (throw size). To get to the different size options, you can use squares that are 2.5", 4.5", or 8". More numbers then we usually include in the description, but this is a plus quilt! 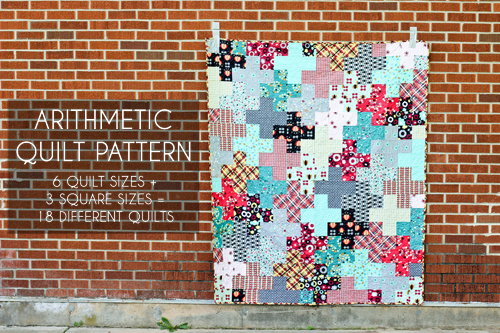 "A bold, geometric, modern plus quilt pattern using simple patchwork techniques." "There is also an optional scrappy pieced backing included in this tutorial. It's a great way to use up the leftover scraps from the front of the quilt!"